I printed a selection of a dozen x blocks on an A4 sized sheet of printing wove - double sided, so four times through the press in total - the paper was then cut and folded into a spiral form to produce a tiny A8 sized maze book. When we describe how much we love someone or something, we usually say … “this much,” whilst holding out our hands to quantify a particular amount. 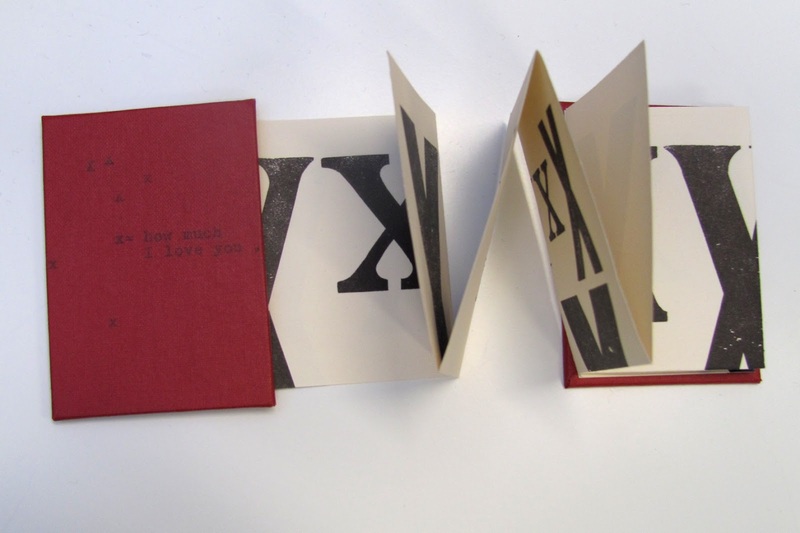 This little book, when fully open, simulates that same action, and reflects the universal symbol of love sent, as the letter x.
X= How Much I Love You.